This will quickly become your go to sweatshirt--we promise! 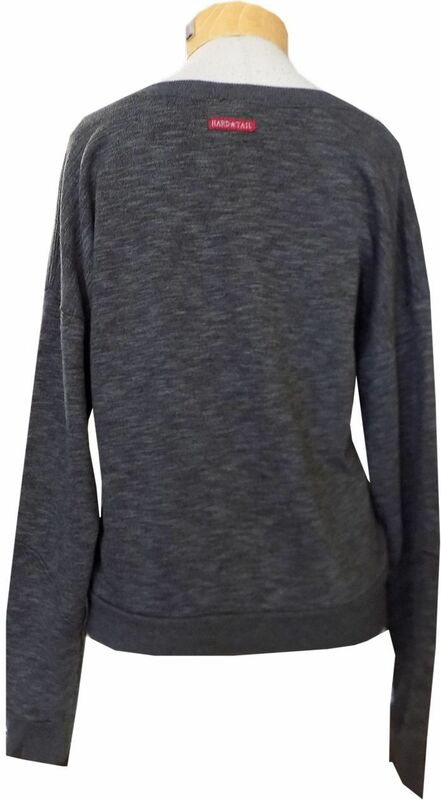 Super comfy cotton blend vintage fleece, with an open v-neckline, and soft faded black color. Darling. over a little tank, your sports bra, or a tee, you'll want to throw this on ALL the time whether you are running errands, or running to the gym!